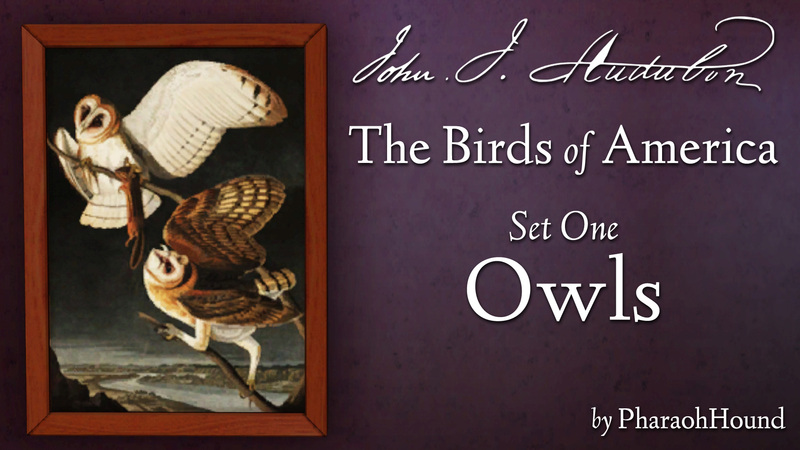 John James Audubon (1785 - 1851) was an American naturalist and scientific illustrator, who is best known for his highly influential book The Birds of America, which is renowned for its visually stunning illustrations. 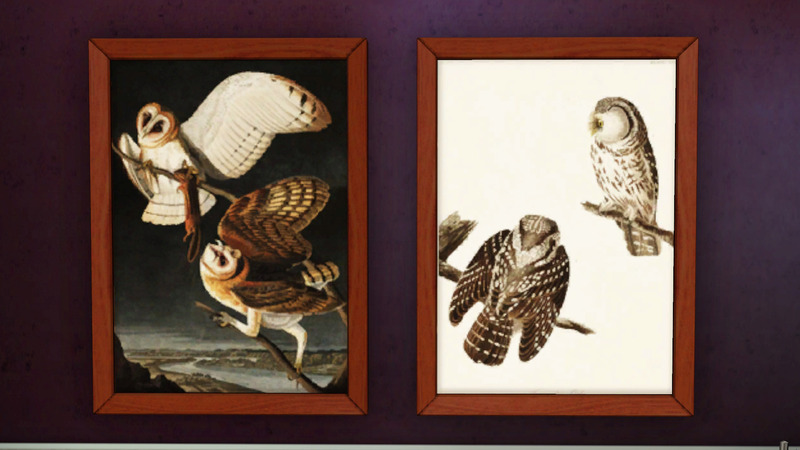 The Birds of America contains over 400 engraved plates showing a wide range of North American bird species, including some now extinct. I have been a great admirer of these illustrations for many years, and resurrected this project after many years in my dustbin when a Victorian-style house I was building simply needed them. 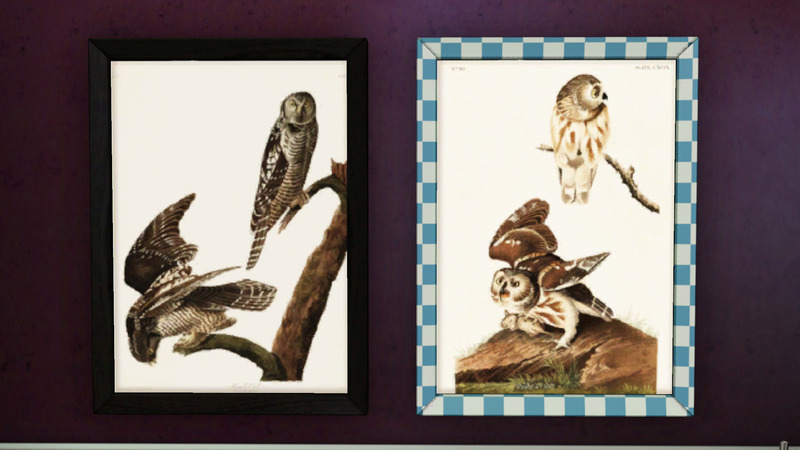 These pictures are perfect for any Sim who loves some vintage charm, or is a scientist at heart! 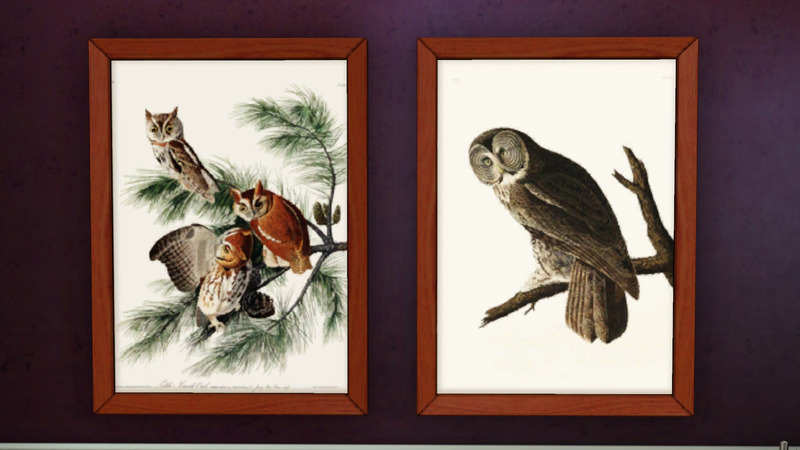 Included in this first set are 10 different plates as presets, all showcasing varies species of owl. 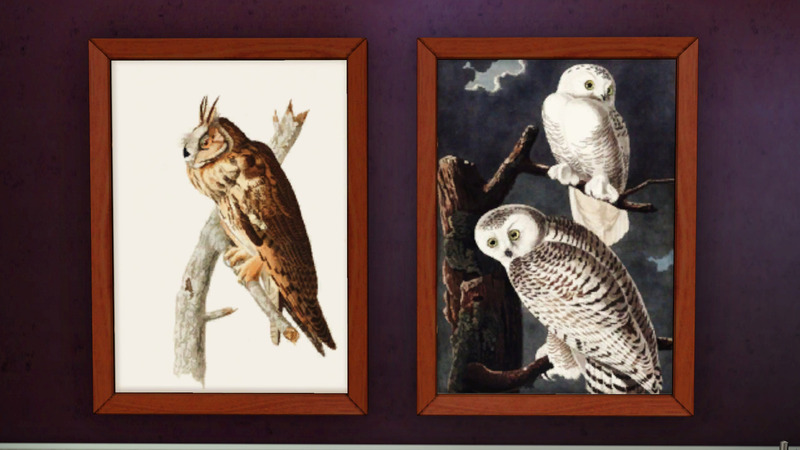 Pictured species are the Barn, Barred, Boreal, Eastern Screech, Great Grey, Great Horned, Long-Eared, Northern Hawk, Northern Saw-whet and Snowy owls. 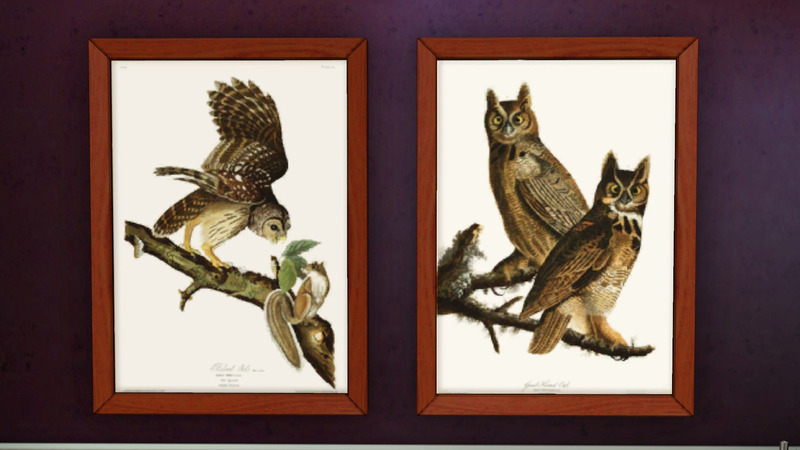 The paintings are available under wall-hangings in deco. They cost §200. The frame is fully recolourable, and cloned from a base-game painting. Look forward to more images in this series! And special thanks and love to Spladoum, King_Deadly, and Buckley for all of their cheerleading, technical help, and advice. You all rock!